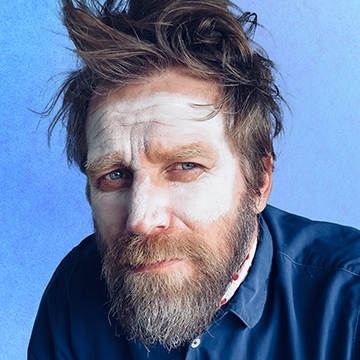 Having sold out his entire run of shows at the 2018 Edinburgh Fringe, Tony Law preforms A mind-changing, comedy-art, laugh-affirming experience you’ll never forget. Expect accents, observations, shouting, clowning, shadows, shadow puppets, a space bear puppet, music, bad music, falling and white face paint. This show finds the vulnerability in us all. Tony Law has appeared on Have I Got News For You, The Alternative Comedy Experience, 8 Out Of 10 Cats and Never Mind The Buzzcocks. His radio credits include Arts Club with Will Gompertz (5Live), Tony Law: 21st Century Adventurer, Tony Law’s Surreal Guide To Surreal Comedy, Loose Ends and Infinite Monkey Cage.